(Reuters) - China's state stockpiler has bought at least 200,000 tonnes of imported copper stored in bonded warehouses after global copper prices dived to multi-year lows in March, said four sources with knowledge of the matter. Further purchases by China's State Reserves Bureau (SRB) could help absorb the small surplus forecast to weigh on the global refined copper market this year and help support prices that have already dropped nearly 10 percent so far this year. Benchmark three-month copper contract on the London Metal Exchange fell to $6,321 per tonne on March 19, the lowest since mid-2010, making imports attractive. Copper prices have since rebounded, trading around $6,640 on Wednesday. Adding to the allure was the fall in copper premiums to a one-year low below $100 a tonne in March. 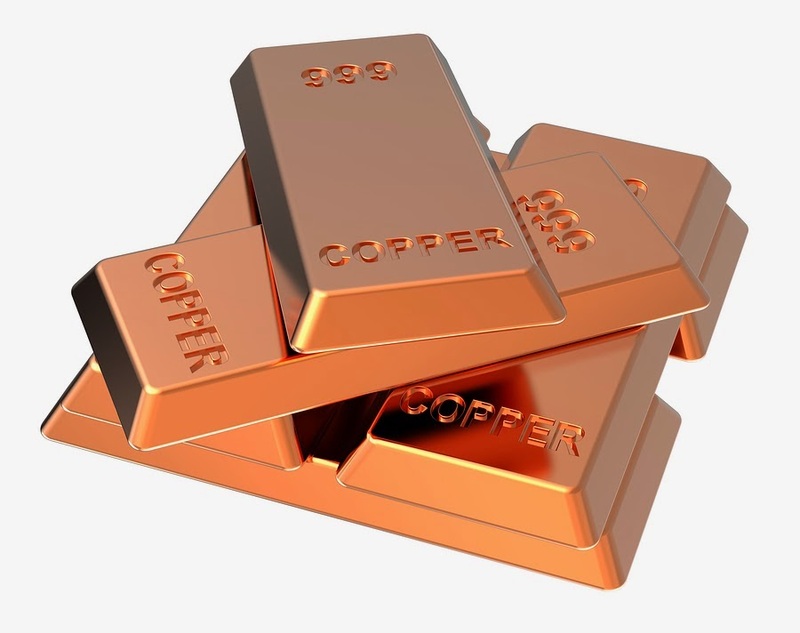 Buyers pay premiums on top of cash LME copper prices to secure physical metal. "Thousands of tonnes (bonded stocks) have already been moved into (SRB) warehouses," said the first source, who was aware of the progress of the bureau's purchases. The SRB bought around 200,000 tonnes bonded stocks between March and April and will move all the stocks to state warehouses by the end of June, two sources said. A third source, who has links to the central government, said the stockpiler had secured up to 350,000 tonnes of bonded copper. Most of the stocks were sold by banks that had taken over the stocks after financing deals ended. The stockpiler had set a target to buy copper at prices below $7,000 and to purchase large amounts should prices fall below $6,600, the third source said. China usually does not announce imports for strategic stockpiling or the quantity of state stocks. An official at the State Reserves Bureau on Wednesday would not comment on the agency's stockpiling plans. Two of the sources said State Reserves Bureau was considering bringing forward its 2015 stockpiling plan due to the current low copper prices. The March-April buying was in addition to SRB's plan - completed in January - to import 300,000 tonnes of copper in 2014. The January bookings would be priced on the average of LME copper on the delivery month plus premiums of more than $110, according to the three veteran industry sources. Following the purchases made in January and March-April, the SRB has bought up to 500,000 tonnes of refined copper from the global market so far this year, sources said. The third source added that the SRB also plans to sell about 200,000 tonnes of old copper stocks in the domestic market in 2014 for stock rotation. He estimated the SRB would hold about 1.4 million-1.5 million tonnes of copper stocks by end-2014. The buying plans are part of an ongoing program to build copper stocks to 2 million tonnes by end-2015, said the source. Lower availability after the SRB buys, coupled with seasonal demand from end-users, have pushed up premiums for bonded stocks more than 20 percent to about $110-$130 per tonne this week, from about $70-$90 in end-March, traders in Shanghai said. Bonded copper stocks in Shanghai stand at about 650,000-700,000 tonnes currently, down from 700,000-800,000 tonnes at end-March, three traders estimated. The stocks are typically estimated by traders as Beijing does not release the figure. Supplies in the domestic market have fallen, forcing end-users this week to pay premiums of about 600-800 yuan per tonne to the price of the front-month copper contract on the Shanghai Futures Exchange to get a hold of physical metal, traders said.